We are Personal Property Specialists in handling large and small estates, experts at creating maximum value and we appraise and price the contents of your home. We do all the work so you do not have to! Offering 15 years experience in the appraisal of antiques and liquidation of contents. Sliding Scale Commission available for Estates over $25,000.00. 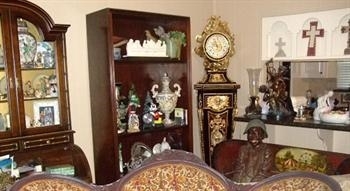 Experts at creating the maximum value of antiques, collectibles and household items. Provide an accurate accountability including receipts for items sold and release of funds within 72 hours of the Sale. 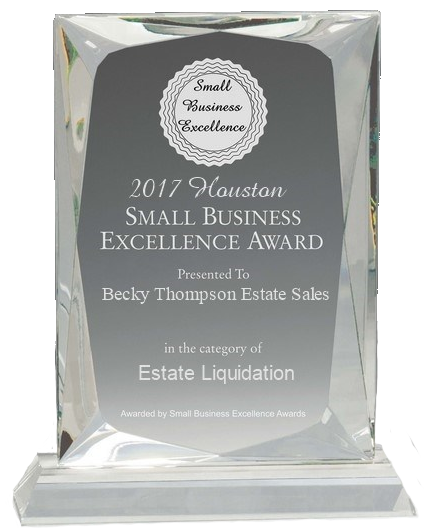 Largest Antique Dealers/ Retail Customer base in Houston. Servicing Houston, West University Place, Bellaire, Sugarland, Memorial, River Oaks, Cypress, and Kingwood.